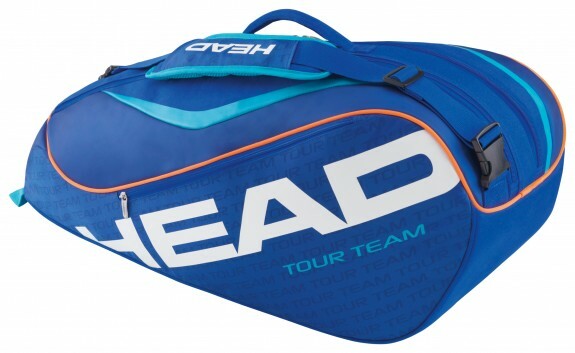 The Head Tour Team 6R Combi bag features 2 compartment for 6 racquets, one with CCT+, 1 insided mesh packet and one outside pocket. A deep zippered pocket on the side and a mesh internal pocket ideal for storing small gear and personal items. An adjustable padded mesh shoulder strap which is removable. Padded hook and loop handle is comfortable to hold and carry.